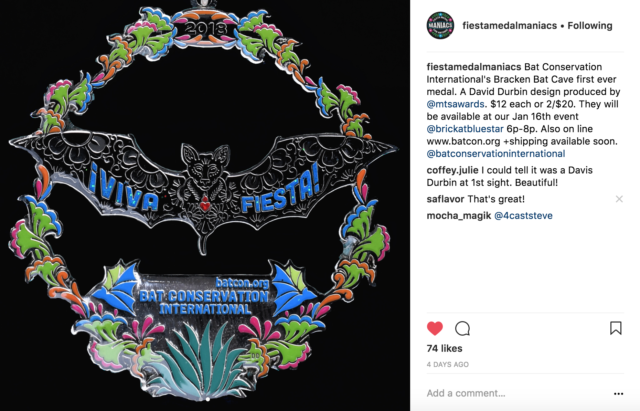 There is a lot of creativity when it comes to Fiesta Medals. But year-after-year, the David Durbin Fiesta Medals are the ones that most Medal Maniacs seek out. I have a deep admiration for David and his artistic talent and am always impressed how you can just *tell* that it is a David Durbin medal. 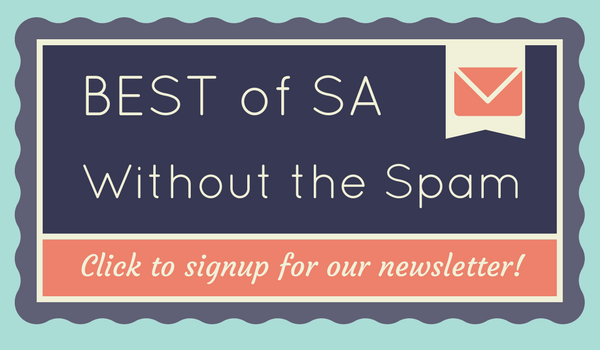 If you’re not aware, I handle all the art direction and manufacturing of the SA Flavor Fiesta Medals myself. So, I have never worked directly with David or his company Monarch. But it doesn’t diminish the respect that I have for him. I guess you could say it is “game recognizing game.” But make no bones, I believe that David is the Maestro of Medals and it has been proven by each of the medals that he releases. 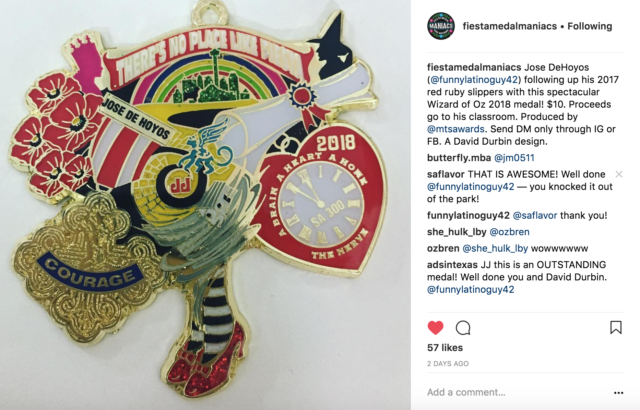 While I know that there are tons of medals that he designs, these are a collection of some of my favorite David Durbin Fiesta Medals for the current year. I don’t know exactly the design process around them, but I’m going to make an assumption that the medal creator gave David a certain degree of freedom when working on the designs. And you can just tell—they come out amazing. 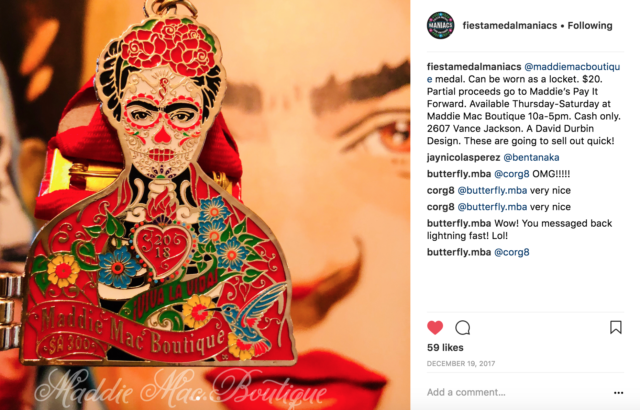 Many of the photos are courtesy of the Fiesta Medal Maniacs Instagram page. If you don’t follow them, you should do so now! And don’t forget to follow them on Facebook as well! Classic ornate design of the sugar skull and all the detail in the flowers. Notice the humming bird in the bottom right—I think that this is a call back to Durbin’s personal 2017 Fiesta Medal. Again, you have the ornate detail in the bat and the classic sacred heart that Durbin uses in a lot of medals. Also, the additional layer of including the agave because the bats are pollinators of the plant the gives us the nectar of the Gods: Tequila! 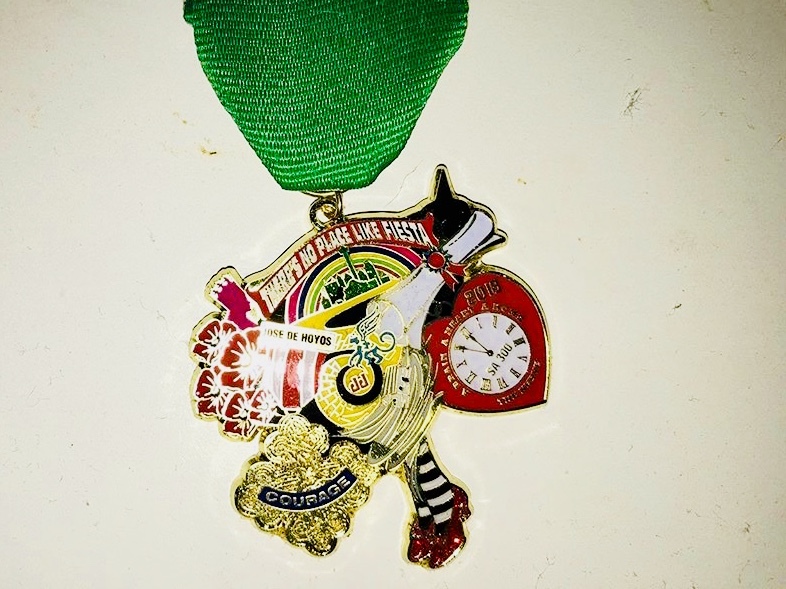 Jose de Hoyos is back with another Wizard of Oz inspired medal. The “Courage” medal is classic Durban gold-on-gold design and again you have those Durbin flowers that pop. I also love the simplicity of the heart and the subtle callback to the SA 300 birthday.